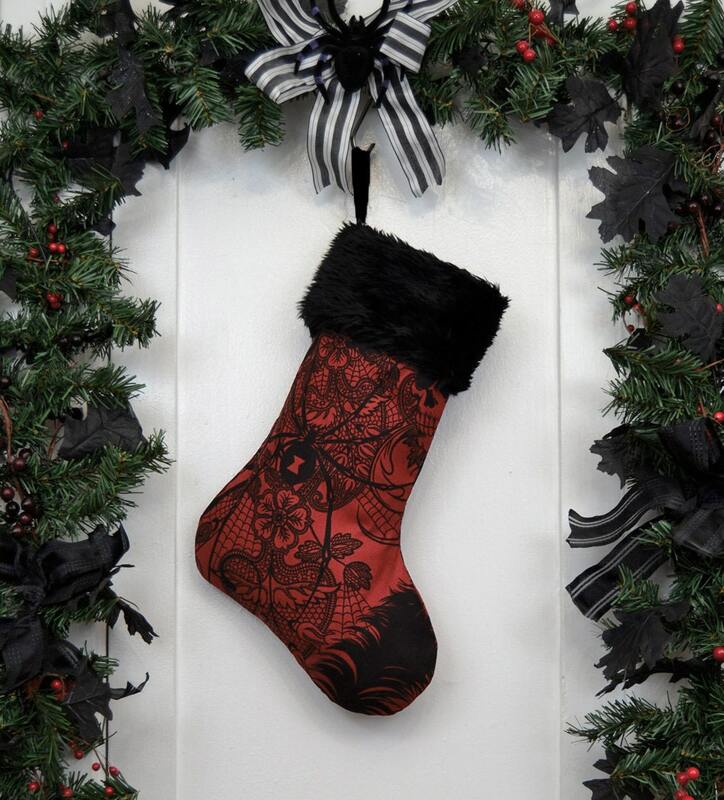 Nontraditional Christmas stocking features a 100% cotton Black Widow and skulls print on a dark red background, black faux fur, and a heavy weight twill ribbon sewn in for hanging. Lined with black canvas to help hold the shape when it’s empty. awesome stocking! Better than expected!! Absolutely stunning. The quality is impeccable! Can't wait to hang this up. Thank you so much!